In 2006, I got to see Phoenix play at the Austin City Limits Festival. Playing in the early afternoon on the first day, their set was a highlight of the festival. The band’s airy take on indie pop fit perfectly with the warm Texas sun and light breeze that blew through the French band’s hair like models on a runway. Flash forward three years later to the success of singles “Lisztomania” and “1901”, Phoenix were suddenly everywhere; from car commercial ads to festival headliners, they even managed to nab a Grammy for Best Alternative Music Album. Bankrupt! is the follow-up to Wolfgang Amadeus Phoenix and it picks up right where that album left off. First single “Entertainment” starts things off with a blast, featuring some keyboard assisted Asian flair. This is quickly followed by the equally catchy “Trying To Be Cool” and later on with “Drakkar Noir”. 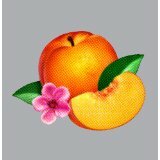 The stellar seven minute title track is one of the few spots Phoenix slows things down for a breather. If you’ve heard Phoenix before, you know the formula. This is hardly life changing stuff but will sound magnifique on patio speakers this summer.